The CID said the same group of suspects had carried out the murder of senior journalist and Sunday Leader Editor Lasantha Wickrematunge and the abduction and assault of The Nation’s former Deputy Editor Keith Noyahr. 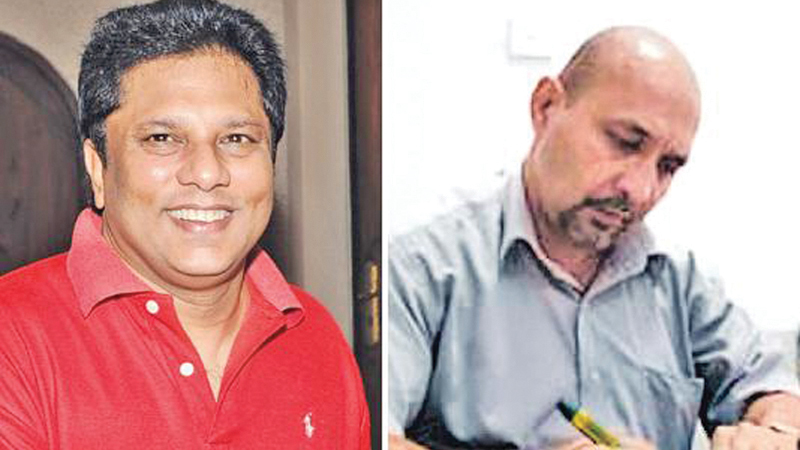 The CID’s Gang and Robbery Unit Officer-in- Charge (OIC) Nishantha Silva yesterday informed the Mount Lavinia Magistrate’s Court that the CID found same group of suspects had carried out the murder of Wickrematunge and the abduction and assault of The Nation’s former Deputy Editor Keith Noyahr. He made this submission when the inquiry into the murder of slain Sunday Leader Editor Lasantha Wickrematunge was taken before the Mount Lavinia Chief Magistrate Mohamed Mihail. The Magistrate ordered former Senior DIG Prasanna Nanayakkara to appear before the CID on the last Sunday of each month. Wickrematunge was murdered on January 8, 2009 in Attidiya, Ratmalana while on his way to office. Mount Lavinia Police former Crimes OIC, Sub-inspector Tissa Sugathapala was taken into custody by the CID on February 2, 2018 and retired Senior DIG Prasanna Nanayakkara was arrested on February 13. The first suspect in the Wickrematunge murder case, military intelligence officer Premanada Udalagama is out on bail. Premanada was taken into custody over the abduction of Wickrematunge’s driver, one of the witnesses in the murder case. President’s Counsel Anura Maddegoda appearing on behalf of retired Senior DIG Prasanna Nanayakkara informed Court that the CID had not taken any action to arrest the real perpetrators in this murder. Maddegoda said even after ten years the authorities had failed to deliver justice in Wickrematunge’s murder. The Magistrate ordered the CID to expedite the investigation and fixed further inquiries for May 10.